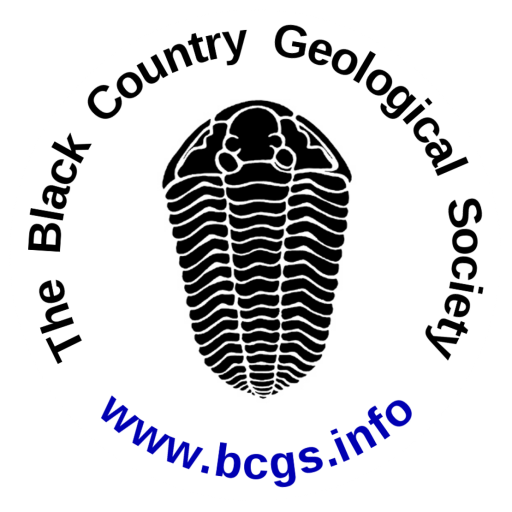 The Earth was formed during the Hadean period dated at 4.56 billion years before present (BP). The way in which we can date the Earth is by studying meteorites derived from the asteroid belt. Almost all meteors have been dated around 4.4 – 4.6 billion years BP. Moon rocks have also been dated as 4.5 – 4.4 billion years BP. This suggests that most bodies in the solar system were formed at approximately the same time. A model for the formation of the Sun states that interstellar clouds of dust and gas, known as a nebula began to collapse possibly due to a nearby supernova. The spinning disc contained >90% of its mass in the centre. Heat was released due to the collisions between particles and release of gravitational energy. The increased heat promoted nuclear fusion, and this was the beginning of the Sun. The remaining particle disc continued spinning; the particles began to stick together by a process of accretion. The heat energy released caused differentiation between the core and the mantle and a temperature of 20,000°C throughout the early Earth. The surface of the Earth contained a mixture of iron, sulphur and silicates at 960°C. During the period of formation there were many collisions of planetesimals, reducing the total number to the present day 8 (not Pluto) in the solar system. This is believed to be how our Moon came to being, by a gigantic collision between Earth and Thea. Thea was about the size of Mars. Our Moon is unique because of its large size (25% of the Earth) and low density. The crust is composed of Anorthosite on the pale highlands, with a thickness up to 100km, with basalt up to 2km thick forming the darker lowland regions. The rock types indicate that mostly mantle material was ejected and accretion condensed the particles into the Moon. 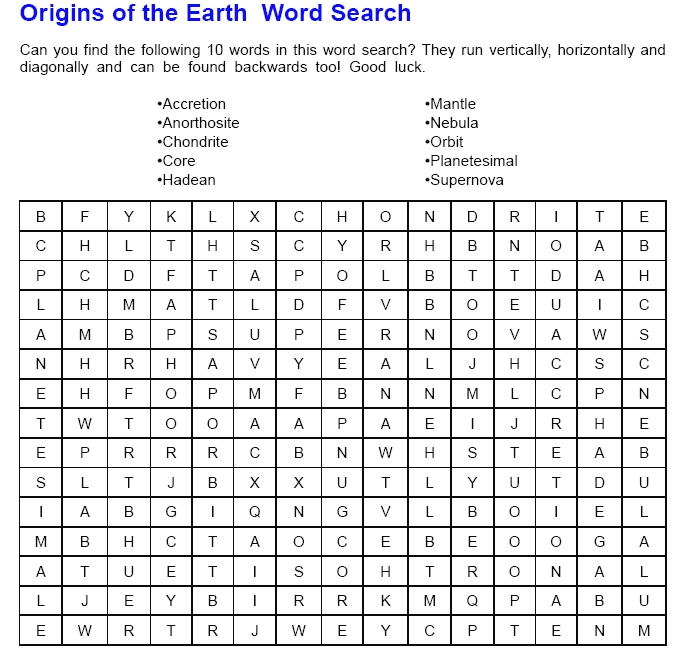 This word search puzzle page has been adapted from an item in Newsletter 194 by Chris Broughton & Alison Roberts.